Justin Langer knew he was in for a busy time when he took on the Australian coaching job, and if the performances in the UAE against Pakistan in October didn’t confirm that, the now-lost series against India at home certainly has. In fairness though, there had been some encouraging performances along the way – the draw in Dubai, the win in Perth the standouts. Even fighting back as much as they did in the Adelaide loss was commendable. But it feels like the loss in Melbourne has undone most, if not all of that. The margin was 137 runs officially, yet the fallout is much, much greater. As big as Justin Langer’s job with the Australian team is, and as busy as he’s going to be doing it, the job facing batting coach Graeme Hick only grows with every technically-deficient dismissal under his tutelage. And this is where the true depth of the fallout has been. 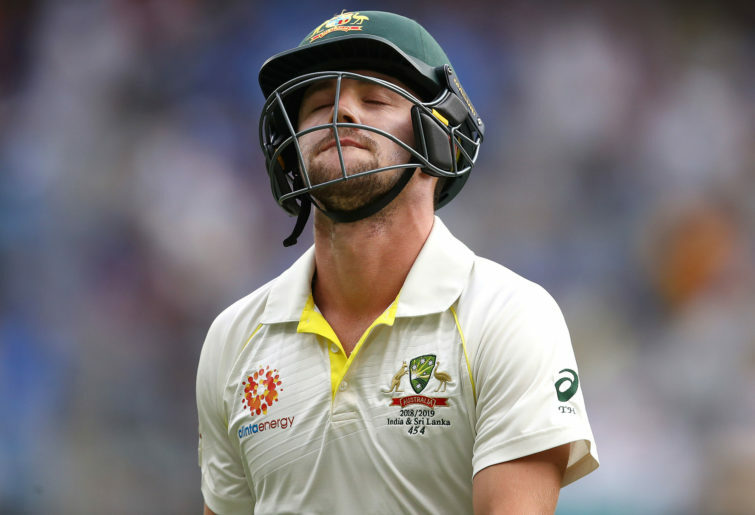 The angst we feel as yet another wild slash adds one more to the wickets column is truly exacerbating; every new wicket feels worse than the previous one, because surely these guys are good enough to recognise the mistakes made by teammates – or themselves – in all those previous moments. And if they’re not good enough to see this, or recognise these mistakes, then you have to wonder what messages are being provided by the team’s management. Is Langer – or Hick, more importantly – having a quick chat with the next man in? The most frustrating thing about the top-order failings in Melbourne was the number of unfulfilled starts. Eight of the 14 top-order innings (I’ve included Tim Paine into the mix) made 20 runs or more; Shaun Marsh made 19 in the first innings, too. Eleven of those 14 – and all seven in the first innings – faced 30 balls or more. So what is going through their heads in that moment of technical failing? Does the Australian cricket team have a psychologist on staff these days? Or at the very least, do the players have access to someone who’s able to explore the mental side of their game? And it’s a genuine question, because a reasonable but not forensic amount of hunting around online couldn’t return any other members of the support team besides assistant coaches Hick, David Saker, and Brad Haddin. So when Travis Head was out bowled in the second innings having played on, which member of staff was the first to have a quiet word with him? They didn’t need to be waiting for him as he re-entered the dressing room with undoubtedly gritted teeth and steam coming out of his ears, but that particularly dismissal ensured a very important conversation needed to be had. And it needed to be had because it was the second time in that Test, and the fourth time in six innings, that a poor shot had brought about his downfall. Having already fallen twice in the first two Tests to catches at third man, Head in the first innings played a horrendous shot across the line to Jasprit Bumrah that saw his stumps broken. With Bumrah bowling around the wicket and pitching outside off, it was the perfect ball to defend or drive straight back down that same line. But Head instead pulled his front foot back on the crease and tried to turn the ball into the leg side. Twitter followers might have noticed my question at the time of whether Australian batsmen were capable of playing the straight drive any more. But incredibly, his second innings dismissal was worse. Head had faced 91 balls before his demise, already the most balls faced of any Australian in Melbourne to that point in the game. The clock on his innings was just readying to tick over into its third hour. But just ten overs after Mitchell Marsh played that unfortunately very typical front-foot-one-way-bat-another-way-altogether get-out shot of his, Head did exactly the same thing to Ishant Sharma; foot straight back toward the umpire, bat toward the cover/cover-point fence, and got a massive inside edge back onto leg stump from a fully-loaded drive. 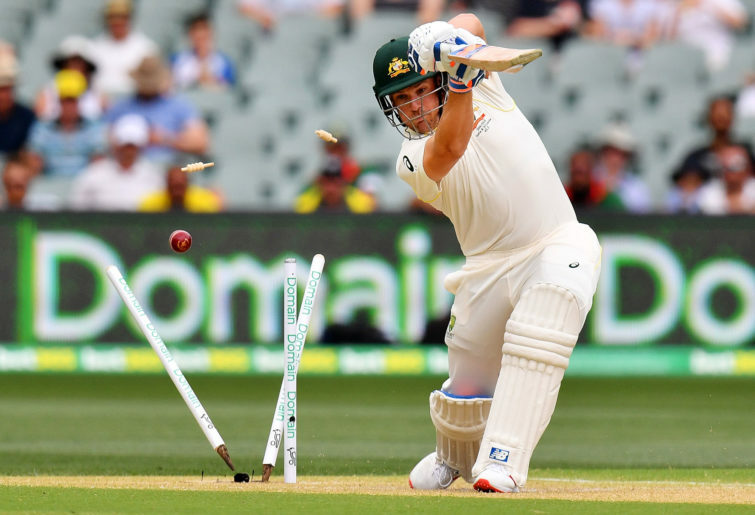 Gone for 34, Australia 6/157 in pursuit of 399, and with nearly two hours of Day 4 to follow. If there weren’t bigger problems in the Australian side right now, and more depth below it, it was the sort of shot that ought to have brought a temporary halt to Head’s Test career. But he certainly wasn’t alone in making this kind of technical error, and nor do I highlight these errors to single him out. But what feedback was Head given about his mistakes in this Test? What feedback have any of the Australian bats been given after their various failings this summer? And what is Hick doing to address them? But it’s not just Hick; bowling coach Saker has a bit of work to do, too, with new-ball pair Mitchell Starc and Josh Hazlewood not having anywhere near the impact in 2018 as in previous years. When he wasn’t bizarrely lobbying for Darcy Short’s inclusion into the Test side as a quick fix for the evident batting issues (hint: have a wild guess why he can’t get a Shield game for WA), Shane Warne made the very interesting observation in the wash-up that Starc and Hazlewood are both averaging north of forty runs per wicket against top six batsmen this year. All told, Starc and Hazlewood both averaged just over 33 in 2018, and though the three of them have all played similar number of games and bowled similar number of overs, Pat Cummins’ record for the year was significantly better by any measure: wickets, average, and strike rate. It has appeared all series, watching on from afar, that India have bowled in better ‘areas’ than the Australians, and CricViz analysis confirms this; India’s bowlers put more balls on a good line and length, and would have hit the stumps more, too. So what is Saker doing to address this? What’s he doing to ensure the Australian attack gets the most out of a Sydney wicket that isn’t going to spin near as much as it once did? It was never going to be easy, losing three quality players as the Australian side has. But these last few months have proved that there needs to be as much work done in the nets and in the meetings as is needed on the field. It all points to a lot of busy men in 2019. Happy New Year, indeed.